A general public meeting on the project is scheduled for Oct. 17 at City Hall. A representative of Delta hotels, the building architect, landscape architect, traffic engineer plan to attend to provide information and answer your questions. The Bridgewater project was approved in 2006 with a 22-story condo, 7-storey condo and 7-storey hotel, & includes public waterfront access. Plans are for the hotel to be open for the Pan Am Games in 2015. 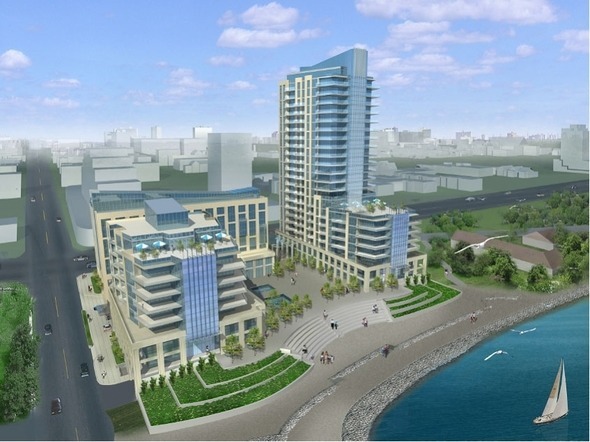 A site plan has been filed for the redevelopment of the waterfront east lands at the foot of Pearl Street and Lakeshore Road, where the Riviera Hotel now sits. Approvals were granted in 2006 for a 22 storey condo, seven storey hotel and seven story condo, with retail at grade. 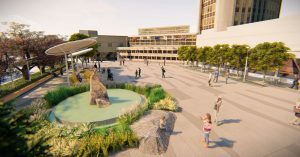 The project also features a central public square with steps leading to a public shoreline walkway, which has already been constructed. The plan meets the city’s parking requirements for the residential component. No parking is required for the retail/commercial component. Instead property owners within certain geographic boundaries in the downtown pay annually into a parking levy based on their property values to build a future parking structure. Nevertheless, parking has been provided for the hotel uses. At the request of the hotel operator, the applicant is asking for a reduction in some of the hotel parking and an extra storey on the hotel to accommodate administrative uses. The applicant has requested that these variances to the 2006 approvals be dealt with by the Committee of Adjustment (an appointed citizen’s committee). The city’s Zoning Examiners are still reviewing the zoning so the final variance package, wording and exact requirements has not yet been finalized. The Committee of Adjustment meetings are open to the public to attend and speak to the application. No date has been set to review this project. The variances must be considered ahead of any next steps on the application for Site Plan Approval. In conjunction with these processes, city staff are also working with Conservation Halton to ensure that their permit process requirements are also addressed. The goal is to begin construction next spring, with the hotel opening in time for the Pan Am Games in 2015. There is a demolition order from the city for the Riviera Hotel and the owners are getting demolition quotes. The developer will be presenting plans to the city’s Waterfront Access and Protection Advisory Committee on Friday, Oct. 12, 9am, in Rm 247 at City Hall. Residents are welcome to attend and listen to the presentation. 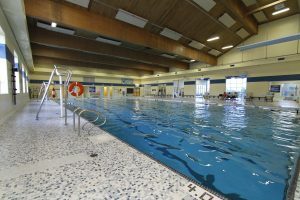 A general public meeting on the project is scheduled for Oct. 17 at City Hall. The planner, a representative of Delta hotels, the building architect, landscape architect, traffic engineer and possibly the wind engineer, plan to attend to provide information and answer your questions. 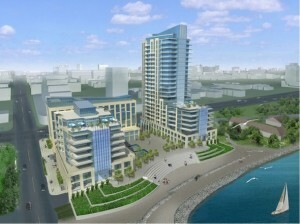 My Take: Though I believe tall buildings should not be on Burlington’s shoreline, this project has already been approved. It does provide for public access via a walkway, retail/commercial uses to serve residents and visitors, and represents a major investment in the downtown in place of a derelict eyesore. Marianne, I understand the decision was before your time but please do NOT support any more high-rises along the shoreline. Let’s continue to be one of the few cities in North America with a lakeside downtown and not let a series of shoreline high-rises destroy that! Marianne, I wish you were on council in 2006 when this monstrous project on the shoreline was approved. There should be NO high-rises on the shoreline! Please ensure that there will NO MORE IN THE FUTURE!